After a lifetime of New Age “adventures” with her weirdo hippie mom, fifteen-year-old Maddie is realizing a lifelong dream and visiting New York City. Armed with her epic to-do list, Maddie hits the streets of New York with her friend Anna and Anna’s brother, Thomas. Maddie drags her friends around on an epic quest for the ultimate art-show outfit, oblivious to the fact that they don’t share her passion for vintage clothing. 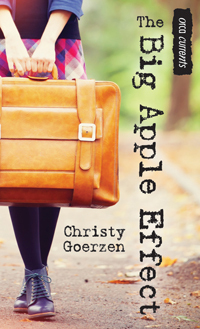 Three days into the trip, a most unwelcome surprise—the arrival of Maddie’s mother—threatens to derail the entire adventure. As her mother’s obsession with dietary trends and fortune-tellers takes center stage, and everyone’s tempers get thin, Maddie has to face some ugly facts about how she’s been treating her friends. Maddie has big-city dreams, and this summer she’s found her chance to visit New York. An art magazine is holding a portrait painting contest, and the first prize is an all-expenses-paid trip to the Big Apple. Maddie plans to win, but her mother has different plans for her: a mother-daughter adventure in organic farming. Maddie is furious. How will she find an inspiring subject for her portrait amid the goat poop and chickens? And worse, her new-age mother’s attempts at pig reiki are an embarrassment. But Maddie befriends the farmer’s daughter, Anna, and between dodging her mother and doing her chores, she finds the perfect subject for the portrait contest. When Mike Longridge gets himself in trouble yet again, he is given a choice: juvenile detention or an outdoor program called Explore. He opts for Explore, but soon finds himself wondering how he is going to survive ten months with the hippies and keeners in the program. He’s never felt so out of place and is certain he will never get the hang of the outdoor activities. Will Mike go back to his old trouble-making ways or will he finally find a place to belong? 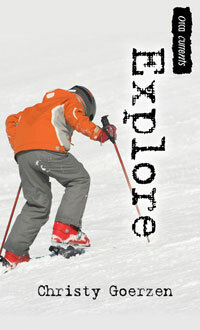 Explore was named one of the Best Books for Kids and Teens in 2010 by the Canadian Children’s Book Centre. 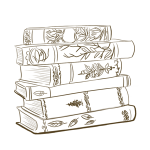 Visit my Orca Books author page here to order my books! (Also available on Amazon and Chapters/Indigo). Alley cats prowl, taxicabs purr and crosswalk signs ding… what other sounds do you hear in the city at night? 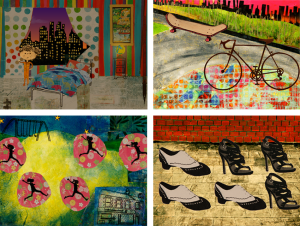 Featuring original paper collage art, music and a rhyming story by an award-winning children’s author, this interactive picture book app for iPads features the sights and sounds of a bustling city as it goes to sleep. Available on the App Store (US or Canada) or for Kindle.